Pulse jets were explored by a medley of European engineers starting from the early 1900s. No pulse jet left the prototype stage until the German Paul Schmidt received a government grant to develop the V-1 flying bomb in the 1930s. What’s that annoying buzzing sound? That’s a pulse jet. What if a jet engine could have no moving parts? Aviation history enthusiasts will fondly recall the pulse jet (or pulsejet) engine concept as the answer to this question. With historical roots going back to as early as before powered flight, the pulse jet’s characteristic has remained constant. Famously used as part of the V-1 flying bomb that terrorized London during the final years of World War 2, pulse jets have seen scant use in manned aircraft. In a nutshell, pulse jets operate much like the internal combustion engine that we find in cars: discrete explosions caused by the sparking of condensed fuel mixed with oxygen pushes hot gas outward, generating thrust. After the explosion forces the hot gas outward, oxygen must be returned to the combustion chamber before the process can begin again. Rather than using a forward facing fan to draw in fresh oxygen, pulse jets rely on pressure gradients and passive airflow. The explosion and the resulting hot gas expulsion out the rear of the engine leaves behind an area of low pressure relative to the outside environment within the combustion chamber. Fresh air from the outside will thus rush into the combustion chamber via an inlet, preparing the engine for another explosion. The exiting hot gas remaining in the combustion chamber after the previous explosion ignites the next batch of air and gas. Each explosion event counts as one “pulse”. For a pulse jet to provide sufficient thrust for liftoff, the pulsing must be constant. Pulse jets are appealing because they can theoretically be made without any moving parts, though in practice most have a valve to ensure all of the hot gas exits out of the tailpipe rather than elsewhere. Simplicity of design would ultimately be a very influential factor in picking pulse jets as a way of producing thrust. Pulse jets were explored by a medley of European engineers starting from the early 1900s. No pulse jet left the prototype stage until the German Paul Schmidt received a government grant to develop the V-1 flying bomb in the 1930s. 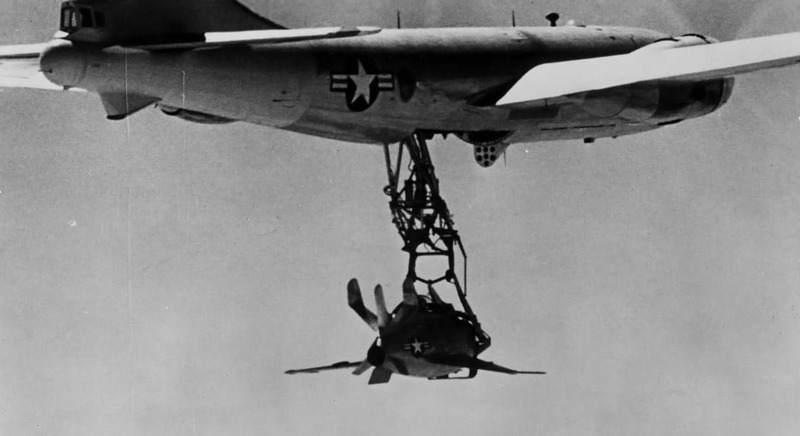 The flying bomb was envisioned to be a cheap way of bombing distant targets without jeopardizing bomber crews. The requirements were simple: deliver a large bomb to a distant area. For the time period, meeting these requirements was enormously difficult. Early prototypes in the 1930s performed poorly, and ultimately Schmidt lost control of the project, though he remained involved. The project was eventually given more funding after war broke out, and by the early 1940s, the V-1 project had produced a very simple disposable pulse jet engine. Though pulse jets are simple by nature, the engine produced by the V-1 program was an excellent example of wartime economizing and efficiency. As the German engineers were keenly aware, pulse jets need to have the contents of their combustion chamber sparked only once in order to guarantee sufficient heat to ignite subsequent fuel-air mixtures. As a result, the pulse jet for use in the V-1 used a single-use spark plug in order to save resources. 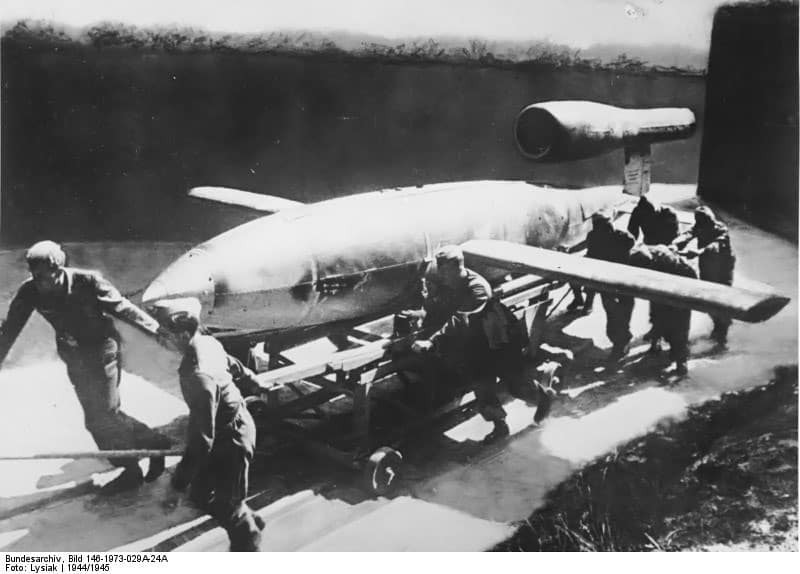 The V-1 ultimately matured into an unmanned bomb delivery system driven by pulse jet. It was used effectively to bomb London during the final years of the war, and its droning buzz was widely feared. The German interest in pulse jets didn’t end there, though. The “Himmelsturmer flight pack” was another experimental wartime program that sought to use pulse jets as infantry mobility devices. Yes, the Nazis experimented with giving their soldiers jetpacks. The Himmelsturmer consisted of a backpack with a canister of fuel, a canister of oxygen, and a pulse jet. The oxygen was needed to supplement the air drawn in by the pressure differential caused by each pulse. Intended for troops to use to transport themselves across rivers and chasms, the Himmelsturmer had a very short flight time due to fuel constraints. Moving forward at any appreciable speed was thus extremely dangerous, as operators would need to expend fuel to slow down before landing. The Himmelsturmer was tested during the concluding phases of the war, but never used in combat. After the war, the US Army would experiment with pulse jet systems, though ultimately declining to implement any of the tested prototypes. The XH-26 “Jet Jeep” one-man scouting helicopter prototype was the culmination of American experimentation. The XH-26 was a lightweight helicopter with tiny pulse jets at the endpoints of its main rotor. The pulse jets would thus spin the blades of the rotor and provide lift. Unfortunately, the added weight of the pulse jets made autorotation impossible, and so the Army declined to pursue the project. The End of Pulse Jets? Since the postwar interest in pulse jets died down, pulse jets have seen few applications and little research within aviation. Outside of aviation, pulse jets have found a home in industrial heater systems. At the moment, it’s probable that pulse jets will continue to be absent from aviation, though there are a couple of projects which may harken their return in the future. In particular, Boeing holds a number of patents on basic pulse jet designs, as well as a few newer patents which combine pulse jet technology with miniaturization for use in drones. Boeing has also considered using pulse jets in the context of providing inexpensive VTOL capability to aircraft. Given the pulse jet’s prior habit of being dropped for more complex options, it’s entirely possible that pulse jets may remain as relics of the past.